Starfish Family Services hosted the 2015 Diapers for Detroit fundraising event. 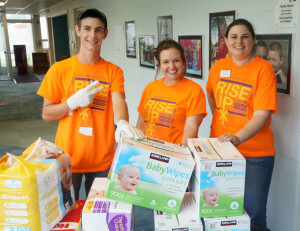 Diapers for Detroit is one of the many learning projects included in the ELCA Youth Gathering worldwide initiative-which is to offer youth an opportunity to strengthen their faith and serve the community at home and abroad. Starfish Family Services was honored to act as a host and distribution center for the collection of diapers for the community. Starfish is proud to announce that the initial goal was far exceeded with the final count of 550,000 collected diapers. 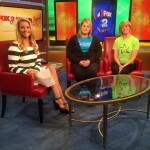 This amazing outcome was featured on Fox 2 News, where the event was furthered discussed by Cheryl Majeske, our volunteer specialist. print article, went live on July 17, 2015. View it here: http://www.goo.gl/jfFWld. July 18, 2015 can be viewed here: http://www.goo.gl/CdzOst. 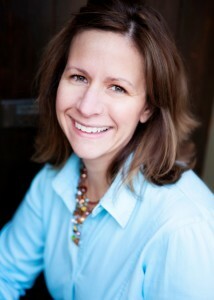 Heather Rindels has joined the Starfish Family Services (Starfish) executive team as Chief Development Officer. (Effective January 2, 2015) Rindels will lead the agency’s fundraising, marketing and volunteering programs. She will ensure the development and implementation of strategies that raise the philanthropic resources necessary to support the many services Starfish, a nonprofit dedicated to creating brighter futures for the children of at-risk families in metropolitan Detroit, offers the community. Previously, Rindels held the role of Interim Chief Development Officer for Starfish. Rindels has served as a leading fundraising professional on campaigns, ranging from $150M to $2.5B. 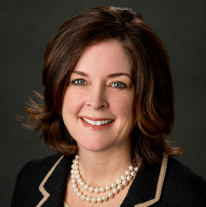 She has held key positions with Altarum Institute, Boys & Girls Clubs of Southeastern Michigan, the University of Michigan, Henry Ford Health System and University Hospitals of Cleveland, Ohio. She earned a B.S. in Management and an MBA in Marketing from Case Western Reserve University in Cleveland, Ohio. Rindels is a volunteer for numerous organizations and is a Board member for Get Real for Kids and the Rudolf Steiner School of Ann Arbor. Heather and her husband Len Krichko live in Novi with their daughter Lucy and dogs Jasper, Annabelle and Savannah. Founded in 1963, Starfish Family Services is an Inkster-based nonprofit organization serving thousands of vulnerable children and families annually in metro Detroit. Starfish’s passion is early childhood development. The organization strives every day to prepare young children for a successful start to school. Starfish programs and services uniquely recognize and respect the important role of parents and other caregivers in the long term success of children.